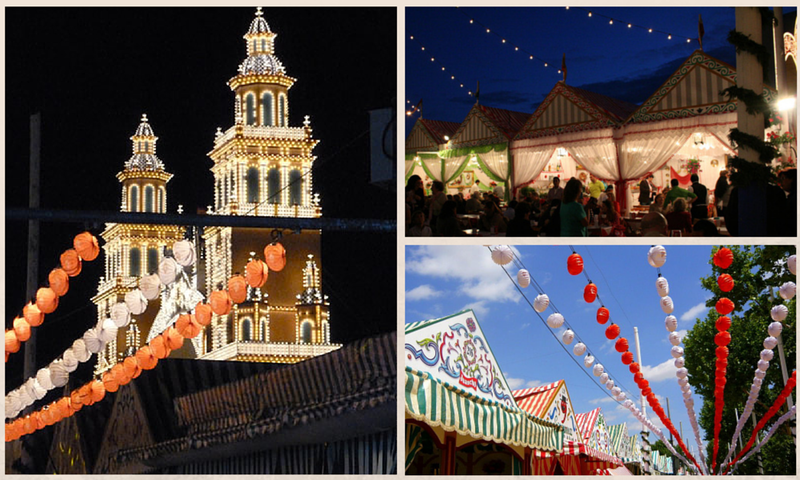 Each April, thousands of people visit the largest and most celebrated festival in Andalusia, the Seville Fair; or as the locals call it – Feria de Abril. 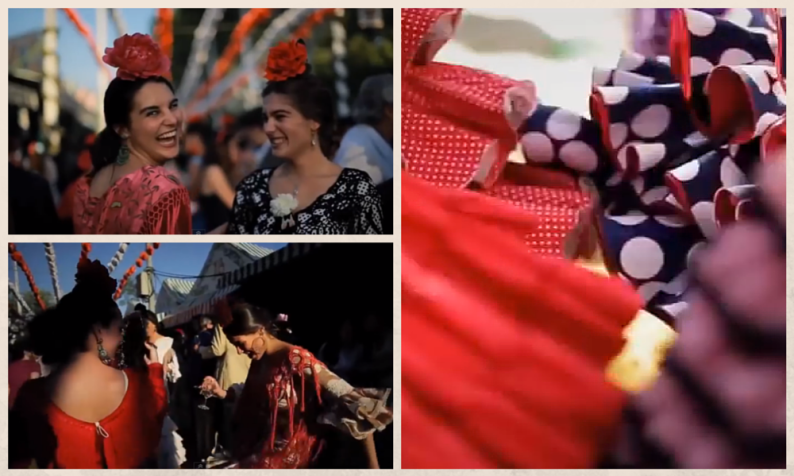 It’s a great fiesta where people drink, eat, dance, socialise and experience this unique event. This extraordinary festival explodes into life and radiates culture, attracting tourists and locals alike. Locals come together to celebrate with friends and family gathering in marquees known as “Casetas”. These traditional tents are often owned by the most influential local Families, Associations, “Peñas” (Groups of friends), Clubs and Political Parties. Each Caseta is equipped with a bar and a kitchen that provides guests with drinks and food unrelentingly for the full six days from midday until dawn. 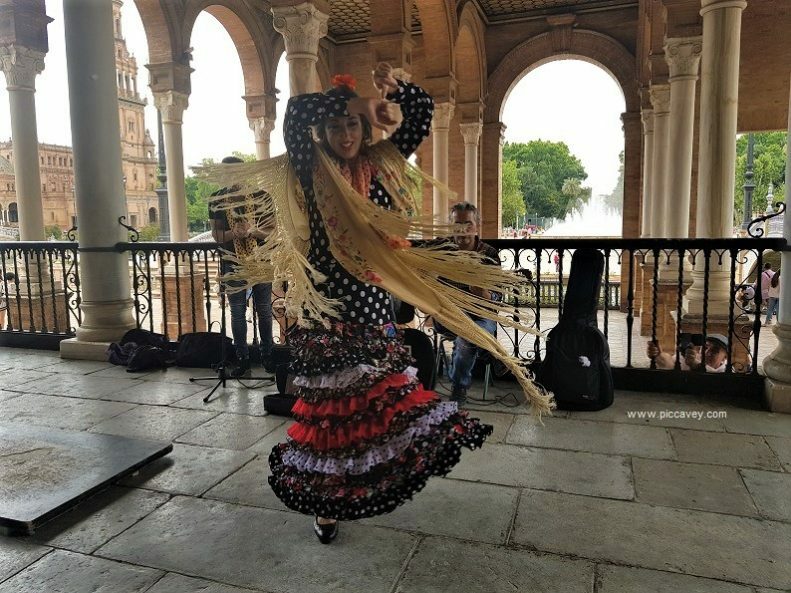 Over the 10 days of the Feria de Abril expect to see young ladies dressed up in traditional costumes dancing the Sevillanas. Flamenco groups play lively music throughout the fair. There’s also magnificent colourful parades of carriages with Andalusian horses decorated in bright colours too. traditionally it begins in the month of April but this year Easter falls later in the calendar so the fair is pushed back to the beginning of May. Eating and Drinking is at the heart of Seville’s festival. The festival officially kicks off when thousands of multi-coloured light bulbs flicker into life and illuminate the festival. Known as the ´Alumbrado´ by this time, people have already had the “Pescaíto Dinner”. This mouth-watering meal includes fried prawns, baby squids, red mullets, clams and other delicious freshly caught seafood. People spend their time hopping from Caseta to Caseta, sampling the broad array of hot and cold delicacies. 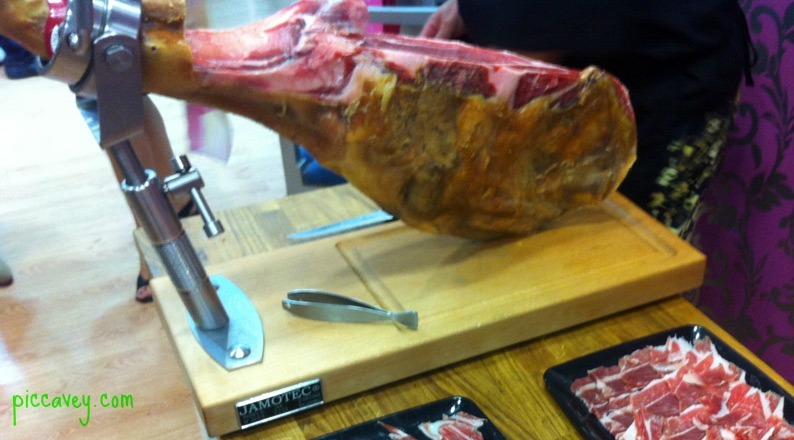 One of the most iconic dishes all festival-goers should try is the succulent Jamón Ibérico de Bellota from Jabugo (a little village located in the province of Huelva). A mouth-watering accompaniment to the Jamón is a hearty plate of delicious Cured Sheep Cheese. 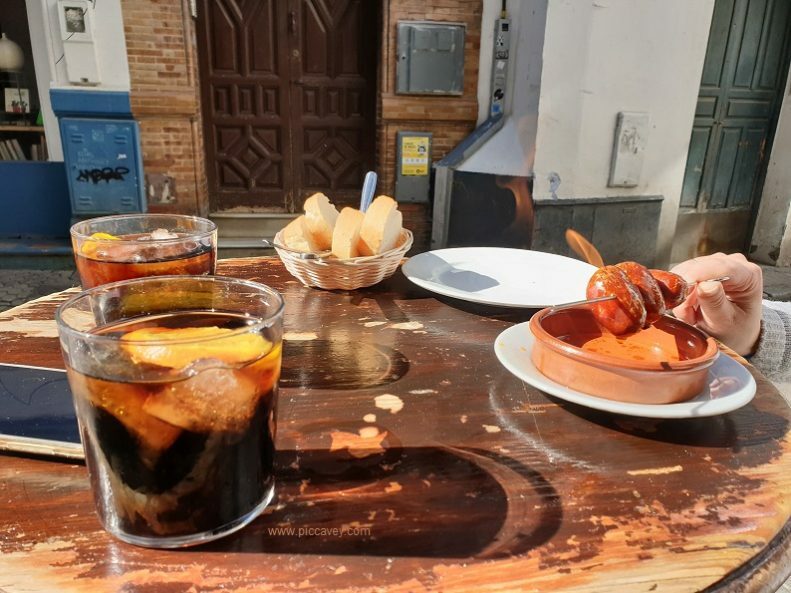 Other must-try traditional Tapas plates include Gazpacho, Salmorejo (a typical from Cordoba), Tortilla Española (Spanish Potato Omelette), Tortilla de Camarones (Shrimps Omelette) and Boquerones en Vinagre (fresh anchovies marinated in vinegar). If you’re lucky enough to experience Seville Fair inside of one of the Casetas, you may have the opportunity to enjoy a hearty serving of a local speciality such as Andulsian Stew, oxtail stew or another local variation, typically consisting of Chickpeas with Cod or Spinach. No visit to the festival would be complete without quenching your thirst with an authentic Spanish drink. 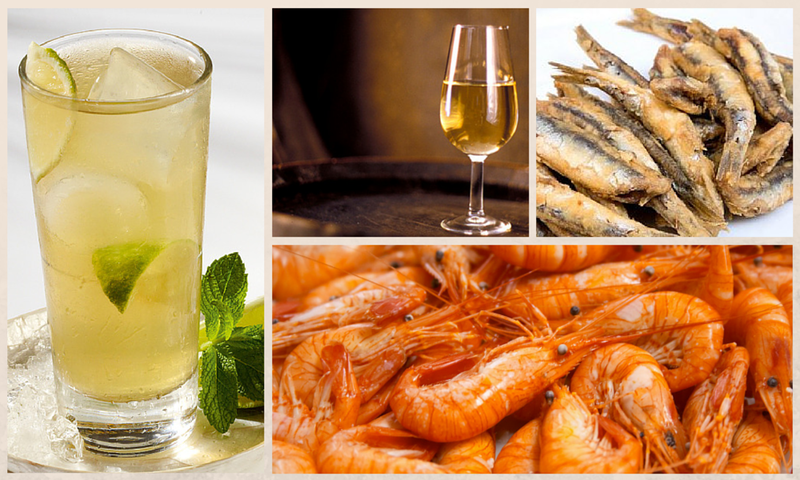 The most popular of which is a Rebujito, which comprises of Manzanilla (a type of Sherry from the coastal village of Sanlúcar de Barrameda) and Fino Sherry from Jerez de la Frontera and mixed with soft drinks. The party goes on till all hours of the morning and so does the food. Late at night it is customary to have a cup of Andalusian broth. This delicacy is prepared with meat and vegetables. Sevillanos enjoy it to help settle their stomach, taking them through to the early hours of the morning. Finally, for those brave revellers still standing comes breakfast. 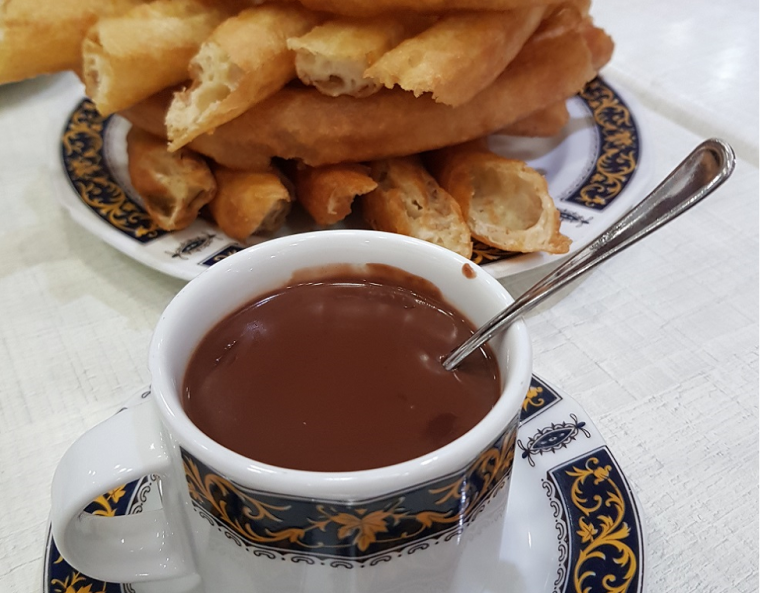 This is an occasion within itself and sees people gather on the corner of the Triana bridge for a breakfast of “chocolate con churros”, which is fried dough dipped into thick hot chocolate. To find out more about local customs, typical Seville dishes and traditional bars, why not try a local food tour. Spain Food Sherpas have a foodie route around the city of Seville focusing on the food from the region. Yes, there is certainly something special about Andalusia.